Last year Neil Young released two albums Americana and Psychadelic Pill, both with Crazy Horse. 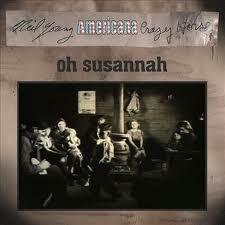 This song – Oh Susannah – opens the Americana album. It was written by Stephen Foster – his first success. First published in 1848 it is one of the best known of all American songs … and not only in America, I certainly recall singing it in either infants or primary school. 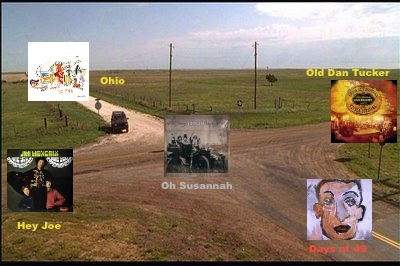 In fact, besides Oh Susannah, there are 4 other songs on Amercana that would almost certainly have been known by pre-teens in 20th century Australia – Clementine, Tom Dula (Tom Dooley), Jesus’s Chariot (She’ll Be Coming ’round The Mountain), and God Save The Queen. Over the years the song has changed considerably. The original lyric and the way it was performed (black-faced minstrels) showed the embedded racism in American culture at that time. The song’s evolution has rendered it quite benign and most of its earlier meaning lost and forgotten. In the early sixties, Tim Rose wrote a new arrangement of Oh Susannah. It was released in 1963 as The Banjo Song by The Big 3. The three member of The Big 3 were Tim Rose, Jim Hendricks, and Mama Cass Elliot. In 1969 The Banjo Song reemerged as a new song with new lyrics composed by Robbie van Leeuwin. Robbie was the guitarist for Dutch band Shocking Blue – the song was Venus. It was a hit in 1969 and in 1986 it again went to the top of the charts for Bananarama. This Tim Rose arrangement has been used by Neil Young here, he has reverted back to the lyric known universally. 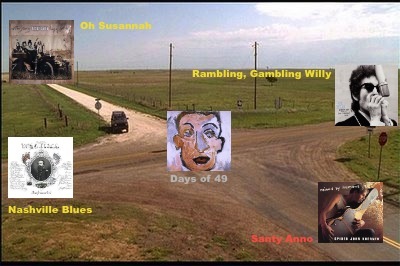 What connects Oh Susannah to Days Of 49? Soon after Oh Susannah’s debut in Pittsburgh, the song swept through the United States and became a favourite of the forty-niners – the thousands who made their way to California seeking their fortune. As well, one of Neil Young’s earlier albums was After The Goldrush. * Explore Oh Susanna at Shmoop, an excellent educational website. This exploration examines all aspects of the song, its history and context. * Arthur Fields’ 1925 recording containing the original lyrics. * Bridge School Benefit Concert 2011 – Neil Young, Dave Matthews, & Tim Reynolds perform an acoustic version of Oh Susannah at this annual benefit started by Young & his wife Pegi. * The transformation: The Banjo Song to Venus to Oh Susannah … The Big 3, Shocking Blue, Bananarama, a German reality TV group, Neil Young & Crazy Horse. South: Days of 49 – they’ve passed us by. I remember seeing the cover and a similar question arose. I read somewhere (years later) that Dylan had an old canvas square, some oils and 5 minutes later he handed over the painting for the cover. A canvas, some oils, and 5 minutes and … voila! Album cover. I released one album (a double one) where I just threw everything I could think of at the wall and whatever stuck, real eased it, and then went back an scooped up everything that didn’t stick and released that, too. Well, it wouldn’t have held up as a single album – then it really would have been bad, you know. I mean, if you’re gonna put a lot of crap on it, you might as well load it up. Back to the song – Days of 49 – the 4th track on the 1st of Self Portrait’s 4 sides of vinyl. I’d never really thought about who wrote the song – it just seems to fit with Dylan the Storyteller. 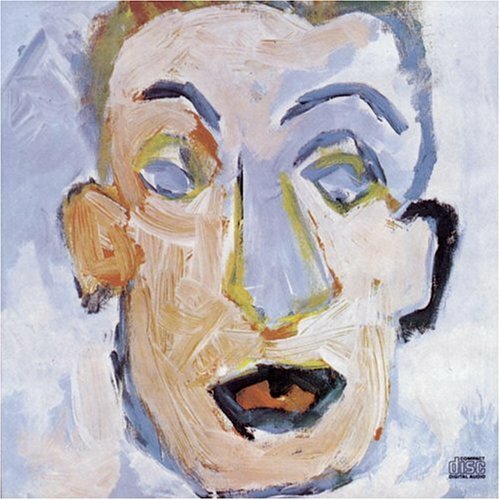 In fact, to me it sounds more Dylan than all the Dylan-composed tracks on Self Portrait. But it’s not. It was written around 1874 by Charles Bensell – a banjo player who also used the stage name Charlie Rhoades. It has also been attributed to Joaquin Miller – though his lyric is quite different. New York Jake, the butcher’s boy – killed by old Bob Stein; Poker Bill – who lost his breath in a game of death; and Ragshag Bill from Buffalo who fell in a prospect hole. In other versions you’ll find: Monte Pete; Hackensack Jim; North Carolina Jess, poor lame Ches, Big Reuben, Kentuck Jim and, if you search, you’ll probably find plenty of others. How does Days of 49 link with Santy Anno? Well, back in the days of forty-nine. Oh those were the days of the good old times. All on the plains of Mexico. * Days of 49 – sung by Jules Verne Allen (1883-1945). * Every Bob Dylan Song – a blog, as the title suggests, giving the blogger’s opinion of every Dylan song. This link takes you to his review of Days of 49. South: Santy Anno – has sailed away. West: Nashville Blues by The Nitty Gritty Dirt Band and others.